Gifting flowers are symbolized as a sign of loving someone, nourishing the bond between two people and caring for that special person. Optimism and happiness spread through giving and receiving flowers. If you want to send flowers in Gurgaon then Winni is the right place from where you can order flowers online with an ease. 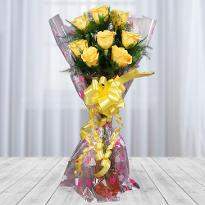 Send flowers to delight your near and dear ones at an amazing price. 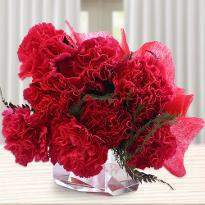 Order from our wide collections of flowers and send to any parts of Gurgaon. Flowers are God’s way to spread happiness and mirth on Earth. Well if you do not believe me, then take a look at those wonderful species of flowers and dive yourself into the overloading olfactory and visual experience. You will be surprised by the power of flowers. It is no coincidence that in today’s world flower is being used as a gifting option more than over. Winni is happy to announce to you all that we have opened flower shop keeping in mind the needs of today’s people, especially their flavor on gifting and which things make someone day’s special. 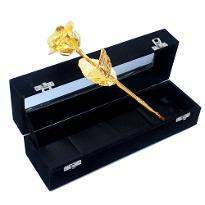 Give your loved ones a token of the flower. You will be amazed what effect this flowers can have on your loved ones.If you are not available for somebody's exceptional day and you need to send your warm wishes to them, then you can send flowers online to Gurgaon with Winni. Our administrations are accessible to every single area of Gurgaon. People in modern times are ever busy, all involved in their duty, forgetting about their basic necessities and time they should spend with their loved ones. The only thing that occupies everyone’s mind is work. But ones, you realize that you also have a life and responsibility outside you work you realize that you are out of an idea to celebrate the happy times with your dear ones. Simple as it may seem but flowers are one of the ancient yet best ways to make up for all this terrible deed. In short, flowers are your best friend when you want to gift your loved ones. Gurgaon is a city of hassle and hush. Everyone is in hurry for something and the other and rarely has time to do something for their own people. To fit into this tight schedule, while at the same time, being able to show your affection to your loved ones through flower delivery, Winni is all geared up to solve your problem. Winni brings in Gurgaon for the first time, delivery of flowers, to the doorsteps of your loved ones on demand. It is just as easy as clicking mouse buttons. All you have to do is to select your favorite color from the catalog of flowers and bouquets and give us the address of the intended place and we will deliver it within time. The Online delivery flower in Gurgaon has never been this easy before. It may happen that at the time when you wanted to stay at Gurgaon the most you had to head towards outstation for an important work. 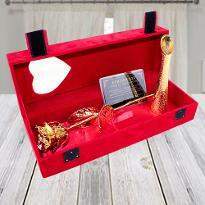 Feeling bad that you would stay during an important day of your loved one, nor even able to gift a token of love to them? It would have been the case if Winni was not present, but with Winni, you can be assured to give a surprise gift of a flower to your loved ones. 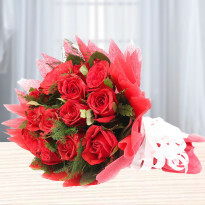 You can send flowers to Gurgaon from the comfort of your room without any hassle. All you need to do is to place an online order and send us the address of delivery and the time when you want it to be sent. Now you can be happy that your loved ones still get to feel the warmth of your love even though you are physically apart from each other. Can we also send cake along with flowers for delivery in Gurgaon? 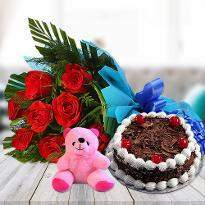 Winni has the variety of cake and flowers for delivery in Gurgaon. 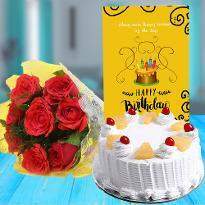 You can choose the cake/flowers as per your choice and place the order online. Once you have placed the order, just chill and relax. 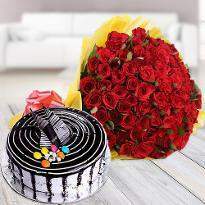 Winni is specialized in flowers deliver and cake delivery in Gurgaon & other city. Winni will keep you posted with regular update about your order. 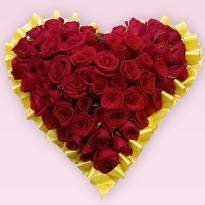 Gone were those days when buying Valentine flower or flower for any occasion in your busy schedule was a hectic task. Now for every extraordinary event, Winni has come to the rescue. Winni shares an extraordinary location near Sultan National Park is situated at Sultanpur fifteen kilometer from Gurgaon. Whatever the occasion may be online flower delivery in Gurgaon is systematically provided by Winni. 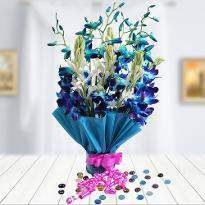 All you have to do order flowers online in Gurgaon and we are right there available for you. Be it any situation, you are never going to miss surprising your near and dear ones. Be it a small Valentine's day token or a mother’s day love. 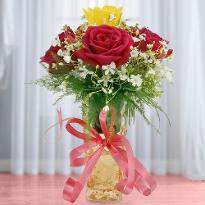 We are ready 24/7 providing you with best of service and quality flowers. Now our online portal has ensured that all your work can be done with utmost ease. Send online flowers in Gurgaon or a combo pack, all of these can be accomplished by our competent team in little to no time. Sending flowers and bouquet have never been so hassle free. Whether you reside in the different city and wish to send some love to your near and dear ones in Gurgaon, you can avail Winni’s online flower sending services in Gurgaon and watch them receive your love. Everyone is acquainted with Gurgaon's geography and also have the realization of the fact that all the services to Gurgaonare near to impossible. So our team has come up with better serviceability with our online portal. Be it any occasion or no occasion, you feel like giving some flowers, you can with our services. Send online fresh flowers in Gurgaon with stepping out of your comfort zone. 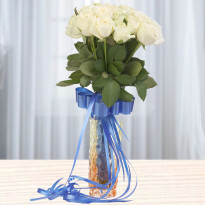 Our gorgeous collection of flowers and fast delivery arrangements makes us the best for all kind of occasions. 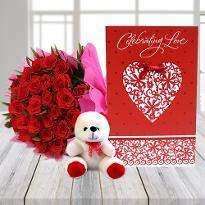 You can even get a hassle free Valentine flower delivery in Gurgaon for the same day as well as for the midnight. Winni gives you numerous options for payment. Keeping aside the payment factor, we have assortments of flora, a gorgeous collection of bouquets. Since Gurgaon is not a very influential city, provision for gifting is very rare. So we at Winni’s come up with a better solution. Our online portal management team ensures all the transactions are smoothly managed and orders placed are taken for a speedy action. 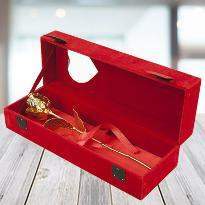 We even provide services for people living in Gurgaon to send their token of love to other parts of Gurgaon. 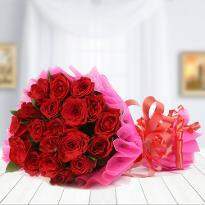 Our online Valentine flower sending portal passes on your emotions on the grounds that a bouquet is an ideal approach to express your love and sentiments. A good bouquet of fresh flowers can make them feel loved on their special day. Even sending flowers in midnight has never been so easy and hassle free. 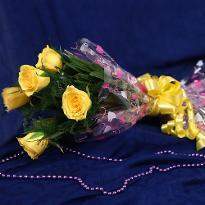 You can send them at midnight additionally our midnight flower delivery in Gurgaon is a great success as it allows you to send your love even at midnight with difficulty. It's Raksha Bandhan and you forgot to buy a gift for your sister? Well, you don’t have to worry much. Click on our site and place an order online for a gorgeous banquet of flowers from our collection and watch your sister’s smile curve grow larger. Forgot your anniversary? No worries, contact us and a beautiful banquet of roses shall reach your wife in no time. We at Winni’s ensure that all our customers receive their love in no time with our same day flower delivery in Gurgaon service also, we make sure that the flowers are fresh and lively to suit the mood. We care for each and everyone. All you need to do is place an order with us and we are all set to make your loved one’s day special. Whether you are out of town or preparing for some surprise party, we can make sure all your arrangements are smooth and according to your wish. 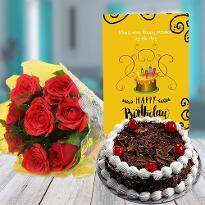 Any occasion- be it birthdays, anniversaries, valentine’s day, or marriage, our online flower delivery system makes sure every occasion is fulfilled with our indulgence. We share we care. The love of your dear ones blend with our love can any normal day special. We ensure full customer satisfaction, so all orders go for same day delivery. So don’t wait for returning home to give your love. Wherever you may be, you can send love to your near and dear ones in a single click. Open our site and place order for amazing bouquets from out timeless collections and combos and ensure happy smiles. 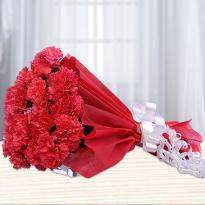 What are the areas where we do online flower delivery in Gurgaon? 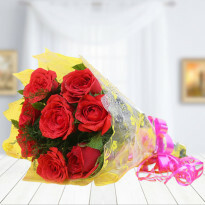 Winni covers large number of location across to do online flower delivery in Gurgaon. Few top location where Winni provide the delivery are Dlf Ph-ii, Dlf Ph-iii, Dlf Qe, Wazirabad, Agon , Arjun Nagar. We also serve in Air Force, Akhera, Arjun Nagar, Baded, Badli, Badshahpur, Baghanki, Basai,Basai Road, Baslambi, Baspadamka, Bewan, Bhadas, Bhangrola, Bhirauti, Bhondsi, Bhorakalan, Bichhor, Bilaspur Khurd, Bisru, Budarpur, Budhera, Carterpuri, Chakkarpur, Chapera, Cheelarh, Dlf Qe, Damdama, Daulah,Daultabad, Dhani Chitarsain, Dhankot, Doha, Dulawat, Dundahera, Dungerwas, Farrukh Nagar, Fazilpur, Ferozepur Jhirka, Ferozepur Namak, Galleria Dlf-iv, Garhi Harsaru, Ghamroj, Ghasera, Ghungola,Gulalta, Gurgaon, Gurgaon Kty.,Gurgaon Village, Gwal Pahari, Haillymandi, Hasanpur, Hirwari Industrial Estate, Jagat, Jaitpur, Jamalgarh, Jamalpur, Janaula, Jant, Jataula, Jatauli, Jawasi, Jhamuwas, Jharsa, Kadipur, Kakoria, Kalwari, Karola, Khalilpur, Khandewia, Khandsa, Khera Khurampur, Kherki Daula, KherlaKiranj, Kurthala, Lakhnaula, Lala Kherli,Lohinga Kalan, Malab, Mandikhera, Manesar, Maruthi Kunj, Mehchana, Mini Sectt., Mirpur, Mohamadpur Ahir, Moolthan, Nagina, Naheda, Nai, Narhera, Narsinghpur, Nathupur, New Colony, Noorgarh, Nuh, Pahari, Paltra, Pataudi, Patil R.s., Pingwan, Punhana, Railwary Road, Raisina, Ramgarh, Rathiwas, Rawli, Rethath, Rewasan, Rithoj, Rojka Meo, Sakras, Sector -45, Sector-17, Sewari, Shahchokha, Sherpur, Shivaji Nagar, Sidhrawali, Sihri Singhalheri, Sikanderpur, Sikohpur, Sikrawa, Singar, Smaspur, Sohna, Sohna Adda, South City-I, Sultanpur, Sundh, Tain, Tapkan, Tatarpur, Tauru, Teekli, Turkiawas, Ujina, Umra, Unchamajra, Urban Estate, Wazipur and many more. My Mother is fan of yellow lilies. I decided to order same day flowers delivery for my mother on her birthday. I took help of customer support also for placing the order. After delivery my mom call me up and i was so happy to see her happy face. Thank you so much winni for delivering such a nice flower delivery to my mother. I ordered white carnations for one of my best friend in Gurgaon. She was super happy with the fresh delivery of flowers in Gurgaon. I ordered it same day flowers delivery then also i didn't find any complaint in quality and time. It was big blooming flowers. Thanks winni for making it perfect. 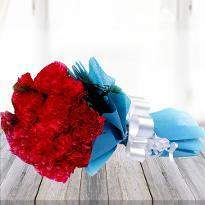 I ordered ozing red flowers with skyblue paper packing. The flowers were just perfect.It was looking amazing and perfect. Thanks you winni for making our day so special with fresh flowers delivery in Gurgaon. I ordered double heart bouquet on our first anniversary for my wife. It was big heart shape bouquet of red roses. It requested to make big stems and fresh flowers and winni made their promise. The flowers were amazingly fresh and superb delivery. Thanks winni. 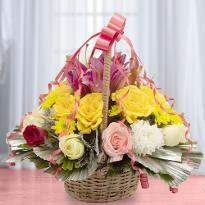 I ordered enduring smile bouquet for my lovely wife on her birthday in Gurgaon. It was mix color roses bunch. The flowers were perfectly delivered on time. I feel so happy to get such a positive response from my wife about time delivery and fresh flowers. Thanks winni. 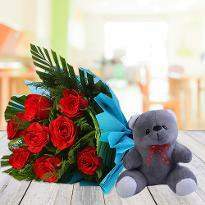 I wanted to send sorry flowers to my girl friend because some of my mistake. I want to send it on immediate delivery. It was evening time and I was confused what to do. Then I choose winni for immediate flowers delivery with a sorry greeting card. She got the delivery on time and happy too with the sweet red flowers. winni made my girlfriend's day. I am lucky to get winni cake and flower services because they deliver quality products. Thanks a lot for the urgent delivery. This was the 5th time I am ordering from winni and I am pretty regular customer. 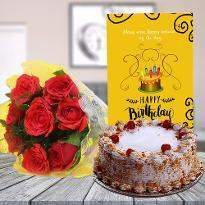 I live outside India and not able to meet my closed ones so I always choose winni for any flower, cake delivery for any occasions and winni has never disappointed me in quality. My whole family knows winni service. It is best service I have ever seen. Love u guys. Keep it up. Because of your service we are able to celebrate relations. I was the first customer of winni and i was very scared with the online delivery as many website don't deliver fresh flowers but truly saying winni is the best service. My wife received fresh carnation on her birthday. She even click pictures send it to me. I was very happy with the fresh delivery of flowers. Hatts off to winni. I will always use winni service and will tell to my friends and relatives. â? ?Order was processed easily and quickly. Recipient received flowers within hours of order being placed and the arrangement was beautiful. Thank you. I will be using Winni.in for Flowers again.â?? I bought a variety of cakes for my husbandâ? ?s birthday and they were all very delicious. I will for sure go back again. They were so friendly, helpful and polite. I would recommend them to anyone for their cake and especially their cakes. They are (were) so good. They are the bomb! Very Tasty! Products in this category have been rated 4.9 out of 5 based on 22 reviews.